Compared to 2017’s high performance – inspired by the Expo world fair held in Astana, which engendered a 23.3 per cent growth in traffic – last year Kazakh airlines saw their traffic grow by 6.8 per cent to 7.9 million passengers, which is still considered an encouraging development, the authorities note. The regulators consider that the greatest potential lies in developing the central Asian country’s international transfer business. “The transportation of transfer passengers is showing unprecedented growth,” reveals the committee. In 2018 some 900,000 transfer passengers travelled through Kazakhstan, a number that is expected to reach 1.6 million in 2020, according to Zhenis Kasymbek the nation’s minister for industry and infrastructure development, who also points out that less than a decade ago, in 2010, the number of transit passengers barely totalled 20,000. A three-day visa grace period for Chinese citizens travelling through Kazakhstan – an incentive that has been in effect for a few years and was last year extended to citizens of India – may have had a significant positive effect on the transfer numbers. That visa-friendly regime has been prolonged to this year as well. According to Russian Aviation Insider’s data, in 2018 Kazakhstan’s two major airports at Almaty and Astana collectively handled some 10.2 million passengers, with their share in the country’s total air travel market rising to 73 per cent. Sustainable development is also being seen in the country’s international air travel sector, the Civil Aviation Committee report continues. Last year the country’s airlines launched 14 new international flights: from Astana to Russia’s Kazan, Tyumen, Chelyabinsk, Krasnodar, Tomsk and Sochi; to Dushanbe in Tajikistan, Vilnius in Lithuania and Helsinki in Finland: and also from Almaty to Riga (Latvia) and Krasnoyarsk (Russia), between Pavlodar and Novosibirsk (Russia), Atyrau and Frankfurt (Germany) and Kzyl-Orda and Moscow (Russia). “From 73 in 2013 the number of international routes increased to 96 in 2018. There are 23 foreign airlines offering scheduled service to Kazakhstan,” the report reads. Last year Zhenis Kazymbek projected that, by 2020, the annual traffic of Kazakh carriers could collectively reach 10 million passengers. 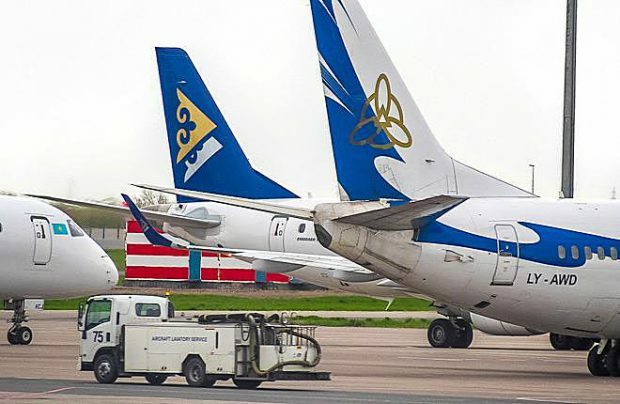 For this to become reality, this year’s traffic improvement should add at least two million to 2018’s results and, to facilitate reaching this goal, national carrier Air Astana has created a low-cost carrier (LLC) subsidiary called Fly Arystan, with its launch flights expected in May. The local authorities are counting on the new LCC introducing at least one million passengers in the first year of its operations and it is felt that the new service will attract people who otherwise could not afford air travel. Last year demonstrated that the Kazakh population’s aviation mobility remains quite low, as the total traffic of the country’s airports is still less than that of its population of 18.4 million people. In 2018 the industry was also plagued by a combination of the devaluation of the tenge national currency, spiking fuel costs and increased airport handling fees.